Featured guest Michelle Glauser, the Founder + CEO of Techtonica, tells more about her nonprofit and talks about diversity in tech. Under the big tent of Startups Live, it’s easy to forget that not everyone feels equally welcome at the startup table. Issues of diversity and inclusion – gender inequality being a big one – are real and pervasive. But, if the movement to address such issues is going to gain traction and unleash widespread transformation, there is no better space for it to happen than here. Today, our featured guest and the movement’s conductor is Michelle Glauser, the Founder + CEO of Techtonica. 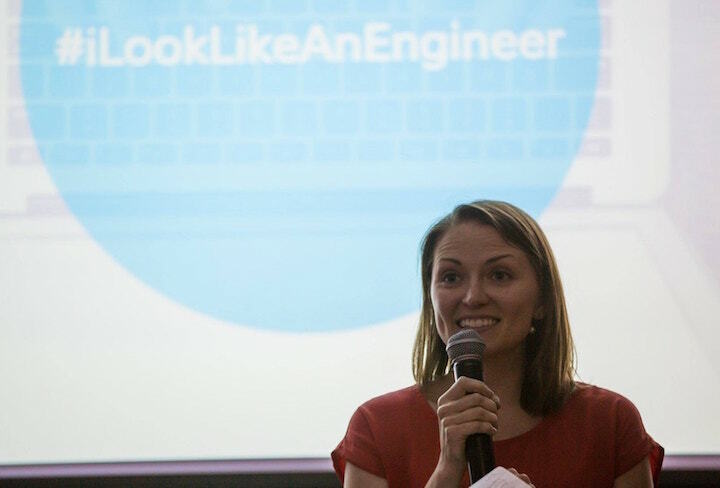 Michelle started putting on free coding workshops at local computer labs at the end of 2015. As an official organization, Techtonica is a year old. Multiple people were curious to know more about funding for the program. Read: serious Founder drive and muscle. Naturally, the conversation expanded from talking about the specifics of Techtonica to considering issues of diversity and inclusion more broadly. It’s so difficult to hear such necessary discussion shut down by the heartless clock, but, to all who genuinely care about fostering diversity, we can thankful for the wonderful example of Michelle and Techtonica and for the actionable, sage advice shared in this space. AND… for the opportunity to directly lend a hand. Techtonica accepts donations from anywhere. They also have a volunteer signup form in the “How to Help” section of techtonica.org. To reach Michelle, you can email her michelleglauser@techtonica.org, or find her on Twitter, twitter.com/TechtonicaOrg, twitter.com/MichelleGlauser.